MIAMI (September 16, 2008 ) – As a result of the closure of the Port of Galveston due to damage from Hurricane Ike, Carnival Cruise Lines’ two Galveston-based ships, Carnival Conquest and Carnival Ecstasy, are scheduled to operate their regular cruise programs from the Port of Houston’s Bayport Cruise Terminal effective with this weekend’s departures. The 2,052-passenger Carnival Ecstasy will resume its four- and five-day Mexico schedule from the Port of Houston starting with a five-day cruise departing Saturday, Sept. 20. 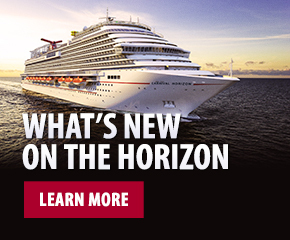 Beginning with the departure of Sunday, Sept. 21, the 2,974-passenger Carnival Conquest will depart Houston on seven-day cruises to the western Caribbean. Both vessels are currently docked in New Orleans where they were deployed following the closure of the Port of Galveston. Carnival Conquest will arrive at the Port of Houston on Thursday, Sept. 18, and Carnival Ecstasy on Friday, Sept. 19, to disembark those guests who opted to remain aboard the vessels following their previous voyages. “We are pleased to continue our Texas operations from the Port of Houston, which will be a convenient option for guests who have already made travel arrangements for previously scheduled Galveston departures,” said Gerry Cahill, Carnival president and CEO. “We are especially grateful to the Port of Houston for their responsiveness. Many of their personnel involved in making this happen were dealing with the aftermath of Hurricane Ike but set that aside to work with us on very short notice to assure that these vessels would continue to have a Texas homeport and with minimal disruption to our guests,” he added. Cahill indicated that the company plans to return to Galveston as soon as the necessary repairs to the port facilities are completed. “The Port of Galveston has been a valued and important partner since we launched year-round cruising from there in 2000. We look forward to bringing both the Carnival Conquest and Carnival Ecstasy back to the city as quickly as we can. We have enjoyed an outstanding relationship with Galveston over the years and our thoughts and prayers are with the people of this wonderful city during this difficult time,” he said. Carnival’s two Houston-based ships will operate the same itineraries as they did from Galveston. Carnival Conquest will sail seven-day western Caribbean voyages departing Sundays to Montego Bay, Grand Cayman and Cozumel. Carnival Ecstasy will depart Thursdays on four-day cruises to Cozumel, and on Mondays and Saturdays on five-day voyages to Cozumel and Progreso. The Port of Houston’s newly opened Bayport Terminal is an $81 million state-of-the-art facility with 96,000 square feet of space. It is conveniently accessed from both of the city’s airports, and a variety of fine restaurants and shops are located nearby. The Carnival Conquest and Carnival Ecstasy will be the first cruise ships to utilize the new facility. Carnival’s 22-vessel fleet operates three- to 18-day voyages to the Bahamas, Caribbean, Mexican Riviera, Alaska, Hawaii, the Panama Canal, Canada, New England, Bermuda, Europe and South America. The line currently has two new ships scheduled to enter service between now and 2011. For additional information contact any travel agent, call 1-800-CARNIVAL or visit carnival.com.